Vegetarian Recipe from Bon Appétit! 26 Jan Vegetarian Recipe from Bon Appétit! Bon Appétit is always sharing lovely recipes with fresh herbs! 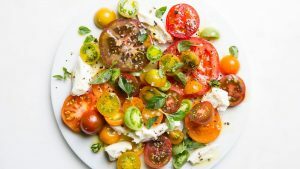 Check out this vegetarian ultimate caprese salad!